Through 20 years of my fanship and loyal support of the local university hockey team I have come to know a lot of Canadians. After all, hockey is Canada’s national sport and many of our players come from there. Some of them became friends over the years, close enough for me to get to know them personally. A lot of those guys from Central and Western Canada in many ways personify the surroundings they grew up in – cold, windswept tundra, long lasting winters, scarcely populated areas are some of the features of Saskatchewan, Manitoba and Alberta. 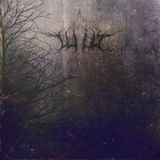 It is Winnipeg, Manitoba, which brings us the atmospheric black metal duo Wilt. Their self-titled debut EP contains four tracks, long enough to be a full album if taken in their entirety, and just like the aforementioned hockey players, Wilt EP is a product of the environment Wilt the band calls home. Frosty, wintery, descriptive of endless vastness, Autumn Veil and Empyrean lay tremolo melodies which never travel beyond a few inflections against a steady double bass drumbeat with a periodic lazy blast creeping in. With Wilt overall texture of the music superiorly dominates over individual stand-alone moments or melodies. Cold Misfortune and Pale Consternation slow things down by a notch, turning on the depravity factor in Jordan Dorge’s crackling wistful throaty vocals. These tracks sure drag and torture a little more, but they do not deviate from the ambient atmospheric black metal concept. More or less grounded, more (as in Autumn Veil) or less fleeting melodies, Wilt progresses along its solemn steady path, almost lullabying with its sameness, rich in atmosphere yet light on compositional variations or memorable moments. Hiding behind the booming walls of double bass, mournful but not in a crawling funeral way, with vocals not stooping to ridiculous vomiting but instead projecting geography imposed loneliness, Wilt is a more grim, less acoustic and definitely more austere version of Agalloch, Winterfylleth and Woods of Desolation. While listening to Wilt one can take a trip to the harsh environment of Continental Canada without leaving his/her chair or headphones, but one needs to be prepared for a journey to be somewhat tedious and devoid of flashy highlights. The EP has the potential to please many likeminded fans, but does not have enough standout power to make it one of the jewels of the genre.